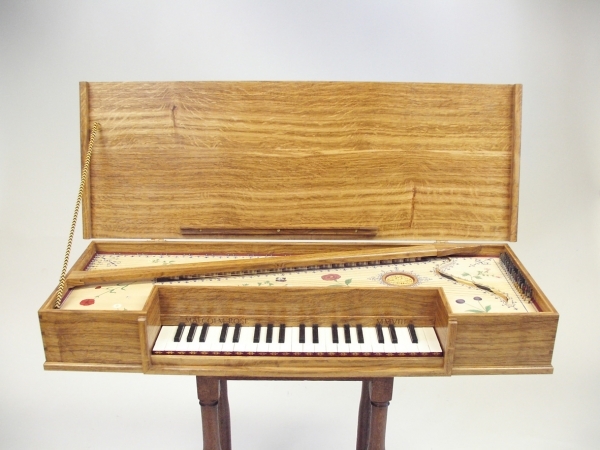 Hayley began decorating wooden instruments in March 2008 after being introduced to Malcom Rose, a renowned harpsichord maker and expert in restoration and conservation of historical instruments. Malcolm Rose is also based in East Sussex. 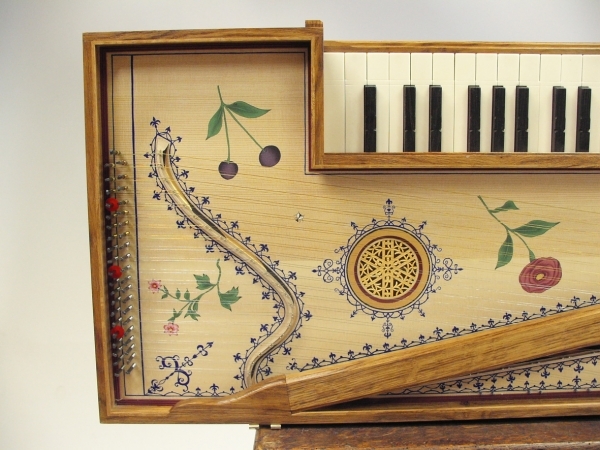 Hayley's intricate floral work, in egg tempera, was recommended to Malcolm by another local artist, Michael Cooper, and from this first introduction she has been commissioned to decorate a 17th Century replica virginal which is being played at several prestigious musical events. 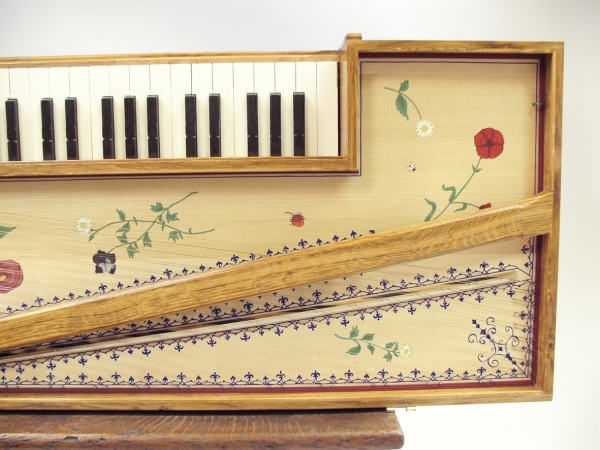 The photographs below are of the Virginal after Berlin 2217 hand decorated with a special tempera oil mix. 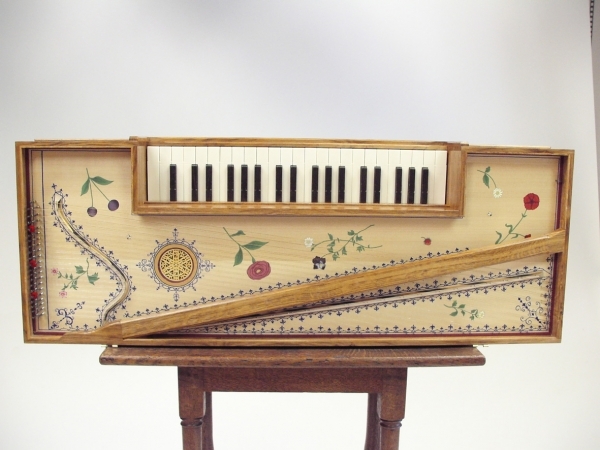 On the Original Instrument, these wild flower decorations were naievely painted laid out as though they had been cut, dropped and painted where they had landed. 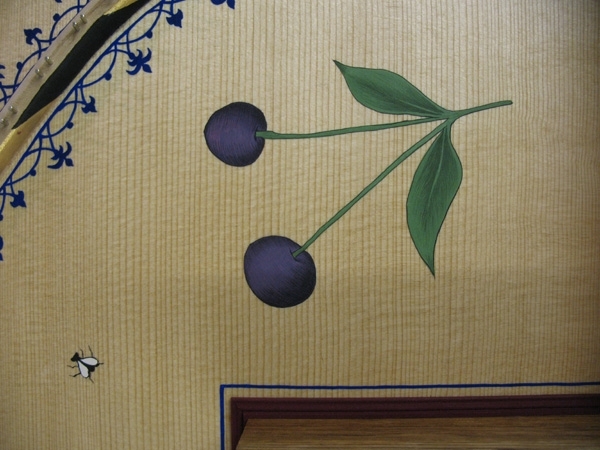 Here, small fruits and a fly add to the charm of this piece. This contemporary decoration has highly stylized flowers using shading techniques borrowed from the Indian Miniature traditions. Also, notice the gold and black stripes on the bridges. Traditional Wild Flower Stylised in Egg Tempera. Right Hand Side with Rose Detail. 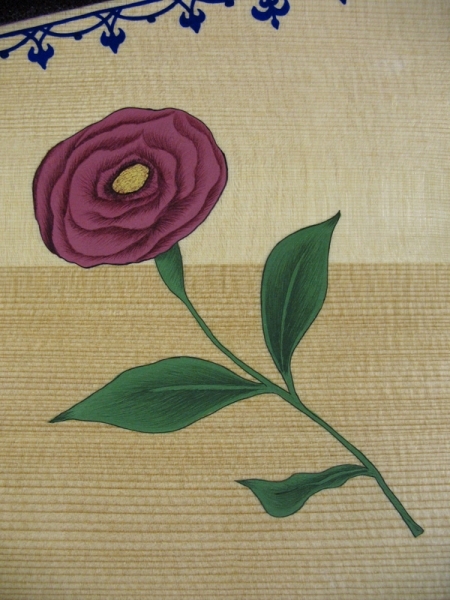 Gold stripes on bridges and around Rose carving. Left Hand Side View with Poppy.